Those who would like to travel and work in Canada may get a chance to do that, provided that they request for Canadian working holiday visa. This country is known for one of the most successful and well-established free-market financial systems in the world. For many years, Canada is among the planet’s highest living standards and offers great educational and employment options for its citizens and in some cases for foreign nationals too. What is the working holiday visa and who is eligible to get one? The working holiday visa or the International Experience Canada visa allows individuals from a long list of countries between the age of 18 and 25 to work in this country for a specific period of time – typically between one and two years. Citizens from France, Germany, Denmark, the UK, Australia, Japan and 24 other developed countries have the right to apply for a visa like this. In addition, you must have a valid passport for the time of your stay, have a certain amount of money on landing, be admissible to this country, have a departure ticket or money to buy one, pay the required fees and be able to take health insurance for this period of time. How to get a visa like this? You can get a working holiday visa in Canada with the help of the International Experience Canada or IEC program. The process is simple and inexpensive. The process that is practiced today was introduced back in 2015. These changes that took place two years ago have improved the process. One of the best things about it is that applicants don’t have to wait for the first months of the new year to start the application process for a visa of this type. 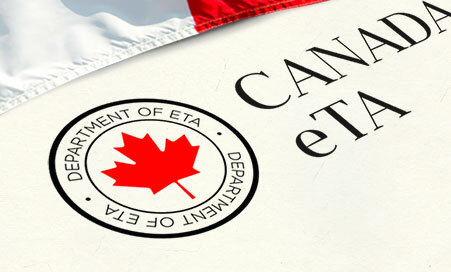 What are the differences between ETA Canada and Working holiday Visa ? Thanks to the new system, applicants from different countries are drawn regularly. The process ends when all places for the year are filled. In other words, young people who want to work in Canada can make a profile and become a candidate whenever they want. According to many experts, it is better to apply as early as possible for a working holiday visa because you will participate in more draws. The process starts by filling the Come to Canada questionnaire which is here to help the authorities determine whether you meet the criteria or not. The next step is to make a personal MyCIC account and create an IEC profile. After that, you will get a chance to submit the profile and select the right IEC pool or pools. Once you do this, you will have to wait for your pool to get activated. Keep in mind that you will have to get an ETA or Invitation to Apply in order to continue the process. In case you accept the ETA, you should submit the work permit application and pay the fees in less than 20 days. The processing times can be checked online. There is no doubt that a working holiday visa can help young people from 30 countries around the globe to gain important international work experience abroad in areas related to their field of study or employment.